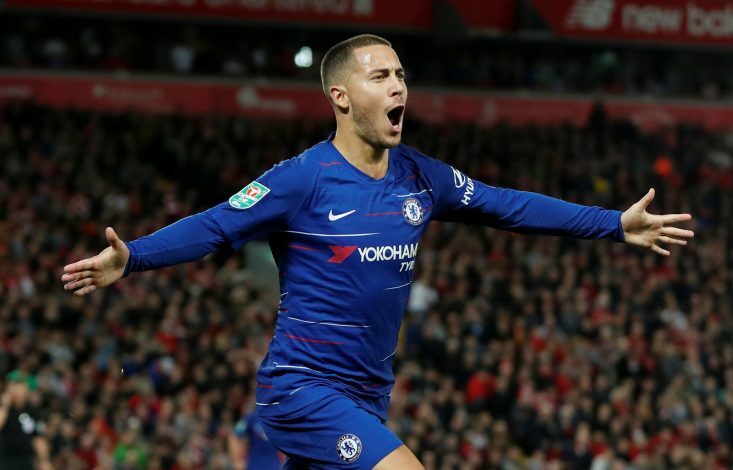 Eden Hazard has been tipped to leave Chelsea for the past couple of summers, but the Blues have managed to keep hold of him. The Belgian International was poised to take up the spot left by Cristiano Ronaldo and move to Real Madrid at the start of this season. But the switch never materialised, as the Londoners weren’t able to identify a possible replacement. There is a possibility that Eden Hazard could move on from Stamford Bridge at the end of this season. Maurizio Sarri is finding it difficult to motivate the squad, which has allowed Arsenal and Manchester United to close in Chelsea on the Premier League. If the Blues miss out a spot in the Champions League once again, the 28-year-old would prefer to make a move immediately. It is common knowledge that Hazard is a huge fan of Zinedine Zidane. The Belgian International once claimed that it would be a dream to work under the former Real Madrid boss. But in a recent interview with France Football, the player insisted that his career decision wouldn’t depend on the 46-year-old’s future club. The forward took an example of Manchester United, who are eyeing a move for Zidane, and claimed that he wouldn’t move to Old Trafford even if his childhood hero joined them tomorrow. “If he goes to Manchester tomorrow, for instance, I will not be going there,” Hazard admitted. However, he didn’t rule out a dream move to Real Madrid, claiming he is keen to take up a new challenge after his time in England. But he did admit there are things which could force him to stay at Chelsea for a longer period. Speaking about a switch to the Spanish capital, Hazard claimed: “Why not? You know it very well. You’re asking the question, but you know what the answer will be so you don’t have to ask it.